Logs provide fine-grained data that can be used to investigate changes in behavior and problematic activity across servers, apps, and end users. Logentries offers fast time to resolution with real-time monitoring, alerting and visualizations – helping you understand what is happening and why. With Logentries, you can quickly diagnose an issue, assure end user experience, and dramatically reduce the time you spend resolving issues. Receive real-time alerts on log event inactivity to assure ongoing system health or to identify changes in system behavior via anomaly detection. 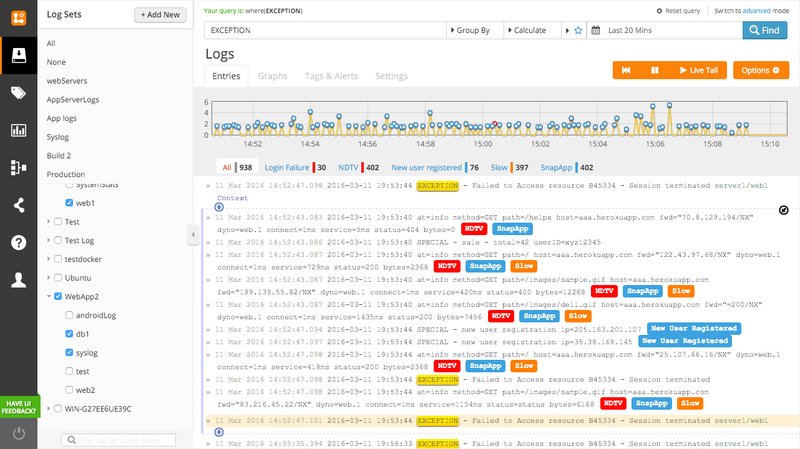 Monitor for important log events and detect interesting patterns in your log data. Tail logs in real-time to pinpoint issues and drill down to understand root cause of the problem. Correlate server resource usage with application performance, identify failed processes or configuration issues with dynamic log aggregation and correlation. Track application performance and availability 24/7. Logentries helps us to identify when issues are going to occur, before we hear about them from our end users. When we are alerted that services have suddenly stopped logging, for example, we can quickly drill down to resolve the problem or prepare to manage it efficiently. Nginx Community Packs provide enhanced visibility into NGINX access and error logs with pre-configured, saved searches, real-time alerting and visualizations.